India is a country of rich culture and heritage and Indian clothing is a part of our heritage. It reflects our values and tradition. Saree highlights the gorgeousness of a woman in most elegant and beautiful manner. We all know fashion changes every day, but the immortality of sarees cannot be denied. Saree is an attire for all occasions and seasons, whether it’s the formal office party or a wedding. It’s not like I always like to drape a saree but when it comes to special occasions and festivals I am on always on the ethnic side. 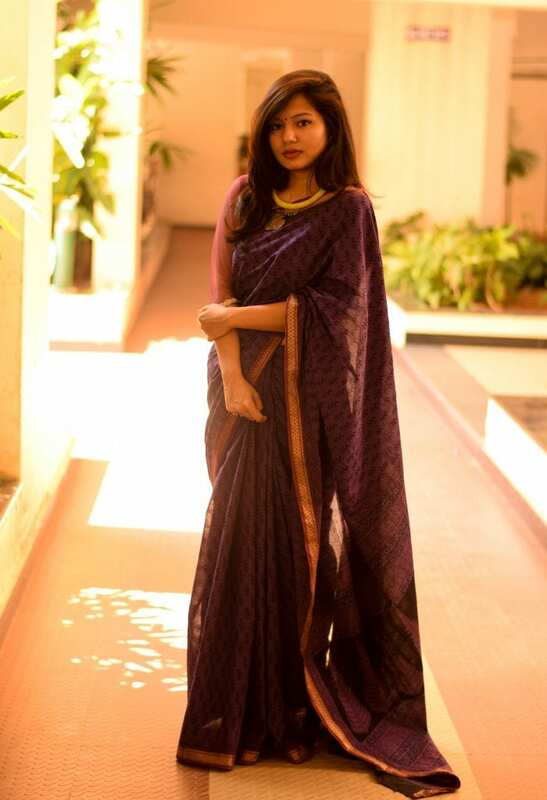 A well draped saree appearances extremely beautiful and feminine without much effort. 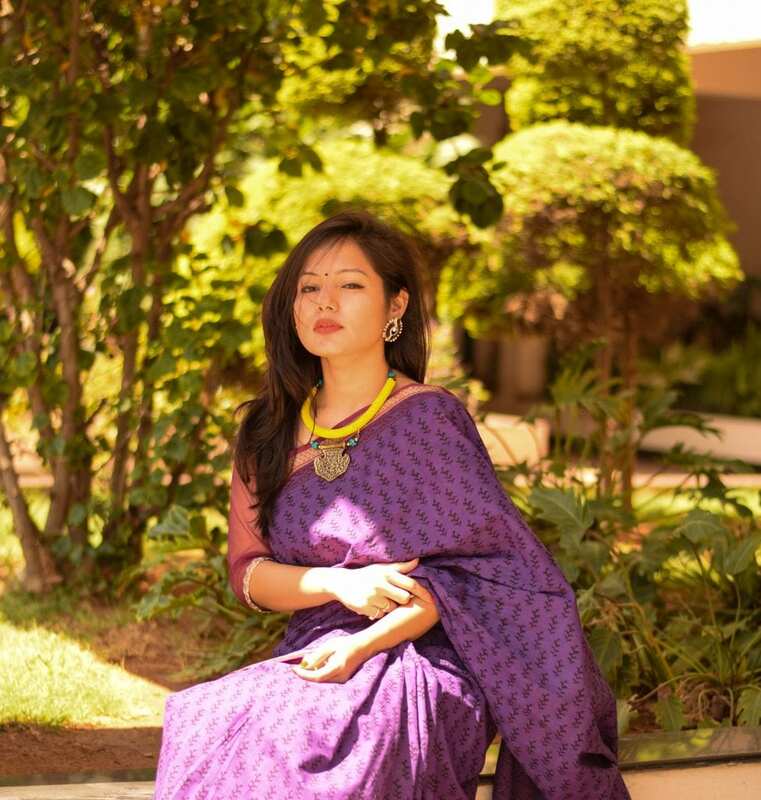 Unnati Silks is a saga of HANDLOOMS FOR WOMEN that began in 1980. Three decades hence it has transformed from a single shop entity to become a family. 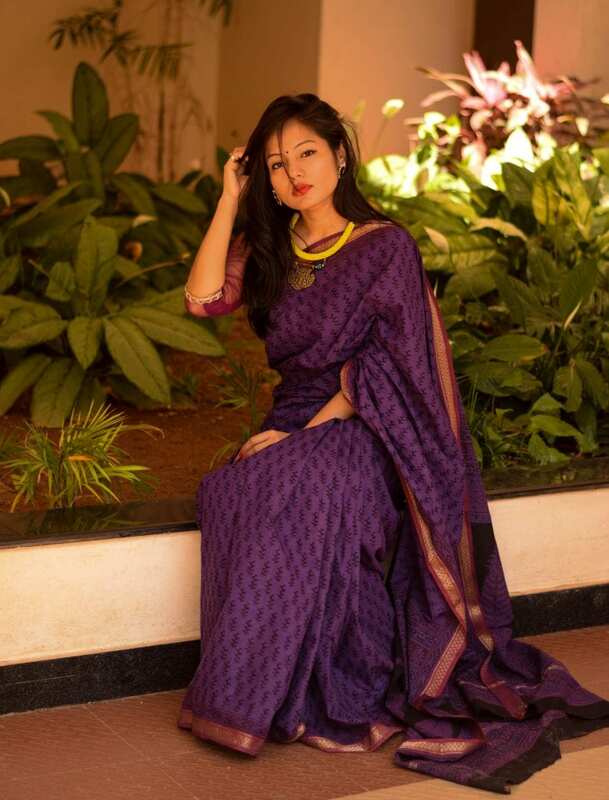 An experience of three decades plus in silk and cotton textiles Unnati silks has carved out a niche presence for itself in being the manufacturer, wholesaler, retailer and exporter of genuine silk cotton handlooms like sarees, salwar suits, kurtas, kurtis and other Indian ethnic fabrics. Having a product range that is as varied as it is vast, handwoven and handcrafted, the devotion and dedication of talented ethnic artisans from across 21 states of India comes through in the products on display. Mr. Devendra Gopal Ladha is the CEO &amp; Managing Director of the business entity called Unnati Silk Prints Pvt. Ltd. Popularly known as the pioneer and founding member of his brainchild Unnati Silks, he has nurtured a single room effort in handlooms, begun in 1980, which today has blossomed into a well-managed family enterprise with global operations. Among the other beautiful sarees, Hand block printing saree is what I have chosen. It’s one of the most ancient forms of creating an apparel. Let me tell you something about the Block print. It is created with the use of an engraved piece of wood to imprint an image on fabric or paper. In the early days of printing, it was used to print entire books. Today the process of block printing is popularly associated with making designs on fabrics by printing on them, with the help of a block made for that purpose. Believed to have its origin in China, block printing has been in use around the world now, for quite some time. It is popular on account of a number of contributing factors like It has simplicity and ease of execution. There is the sharpness, accuracy and fine detailing of prints made on the fabrics and the extensive choice of colors makes the designs vibrant and fresh-feel. So all the saree lovers out there please visit the online or the offline store of Unnati silks and select a saree for yourself and your loved ones, take my word you won’t regret. Happy shopping. Check out their collection in the below links. Do leave me a comment about your experience. Next Post Peppermill Bistro – The White Casual Dining, Café.